Wixie and Pixie are exciting digital tools students love to use to show what they know. While digital is fantastic (you really can't beat student voice in a project), you can also use Wixie to print booklets, trading cards, and comics. Students need to create artifacts of their learning, and digital tools make it easy to develop professional looking products they see in the world around them. While there is certainly nothing wrong with construction paper and crayons, these look like learning artifacts created for a teacher. While this will motivate the "good" (meaning easy) students, it doesn't do much for students who don't readily see the value in work done only for their teacher. Asking students to create printed products, like comics and trading cards, connects their work in school to products they see in the world outside of the classroom. As Gary Stager puts it in his article Genius of Print, "it is often the product itself that provides context and motivates students to learn." 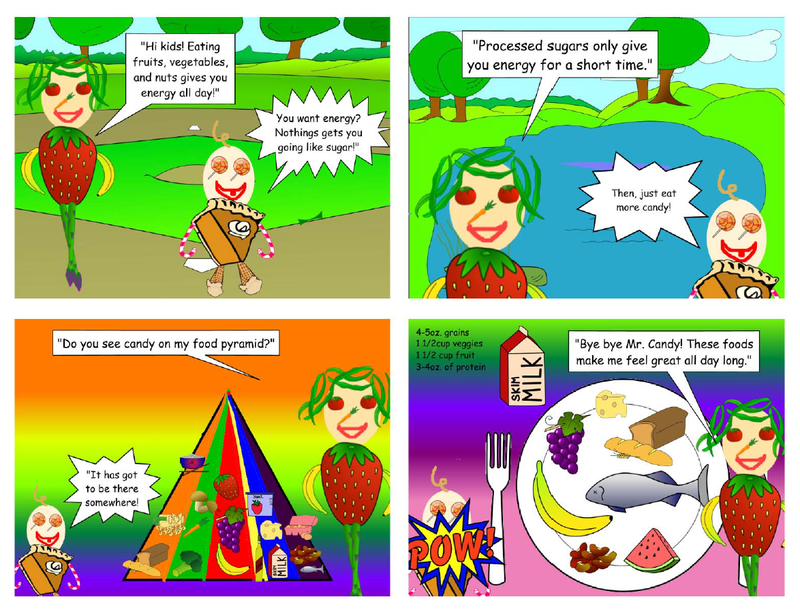 Wixie and Pixie make it easy to print multi-page projects as comics, post cards, trading cards, greeting cards, and books. Once you have created multiple pages, you simply choose how many pages per sheet, set your margins, and go! In the early grades have students create four page projects for writing (fiction and nonfiction) and print as a booklet. Then, simply fold so students can take them home to practice reading or to develop stuent-created informational text resources for your classroom. Have students create table tent to imagine what they will do during summer vacation. Have them draw a picture on one page an write a detailed description on the back. Print, place on their desks, and have a classroom walk to see what everyone is going to do. Table tents are also a fun way to have students introduce themselves at the beginning of the year. This makes for an easy first project and there is even a step-by-step tutorial. 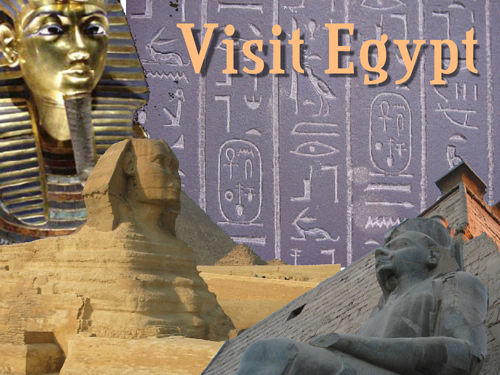 Greeting cards, of course, make a wonderful idea for holidays like Mother's Day. But you can also use the greeting card format to practice rhyming poetry and letter writing. The greeting card layout, prints the first page as a cover and the second as the inside message after your print and fold. Postcards work great to summarize content knowledge about a habitat, time period, or location you are studying. While this layout prints 4 to a page, you even have the option of printing one image four times, for easy distribution. You can also use this print multiple option for trading cards. Imagine each student creating a trading card for a character from a book you are studying, or a person from a historical time period you are exploring, or terminology or vocabulary from a science unit. Have students print as trading cards (and repeat page to print the same image multiple times) and then cut out to share with their classmates to create a complete set. You can even put to use all of your empty Altoid tins to collect them! 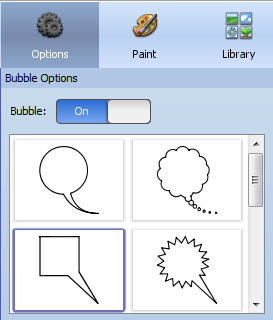 If you are creating comics, Wixie and Pixie can quickly transform text into a thought or speech bubble. Simple click the text box and turn on the Bubble option. There are even multiple shapes to choose from. 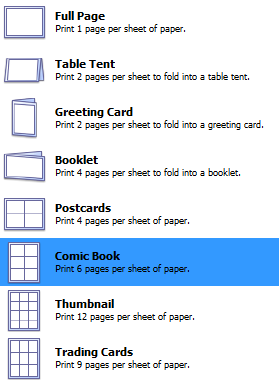 Combine this feature with printing options to turn Wixie and Pixie into comic publishing tools too! The Clip Art/Stickers library even includes a Cartoon folder to save time drawing characters so students can focus on the story. Creating comics is a great way to summarize content, practice conversational grammar, and explore the idea of heroes. No matter what product you choose to print, don't feel like you are moving backward if you choose to print. Students love to make! Creating products they can hold in their hand is yet another way to bolster their pride and make the hard work of learning tangibly rewarding.